September 4-6, Festival for the Future took place in Auckland, New Zealand. Young (Social) Entrepreneurs, innovators and idealists were brought together over one weekend to explore the big issues of our time and get inspired to make the world a better place. More than 500 changemakers, having over 20 different nationalities, congregated. Out of all requests the Festival got, Perspectivity had been selected and we were given the opportunity to run our own workshop stream of 3 sessions, spread over the weekend. 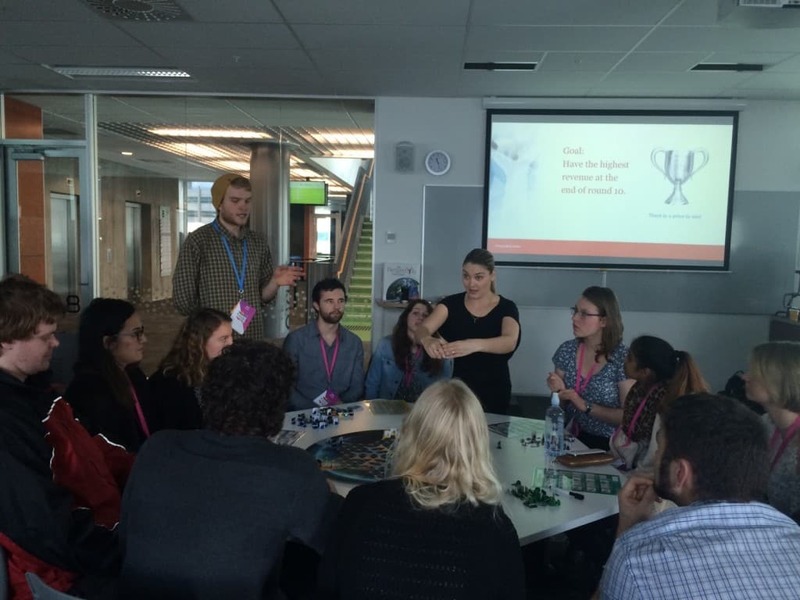 On the Friday before the festival, I organised a very first session in New Zealand at the University of Auckland. In an intimate setting, a small group of Academic lecturers were playing with graduates, which nearly resulted in the “Green Scenario”. The young half of the group, 5 committed, intelligent persons, stayed to attend the rest of the Train the Trainer and get prepared for their co-facilitator role during the Festival. The Perspectivity Challenge workshop stream resulted in 3 “sold out” sessions for 60 participants each, receiving great feedback. All had their own dynamics yet shared learnings around personal and group behaviour. The public turned out to be highly multicultural, with people from all over the Pacific. During our first session 15 deaf youngsters were taking part. Spread over two tables, mixed with others and guided by an interpreter per table, this turned out to be a very unique experience for both them and us. As one of the sponsors to the Festival, The U.S. Ambassador to New Zealand, Mark Gilbert, also popped in to have a look. He showed his interest to hear more about the Challenge, so let’s see what comes out of that. Perspectivity New Zealand is a fact, and it couldn’t have been a better way to launch it! ← Perspectivity Challenge visits Amnesty International Bangalore, again!